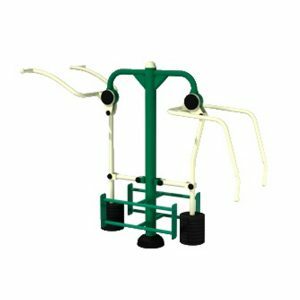 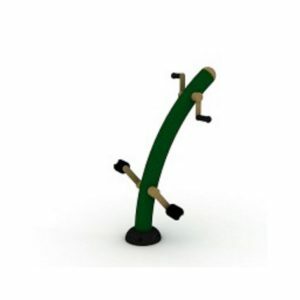 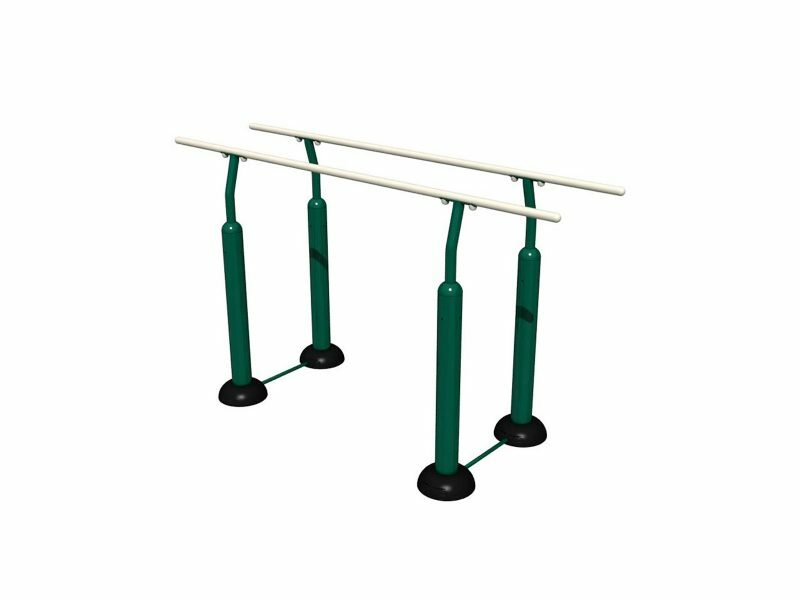 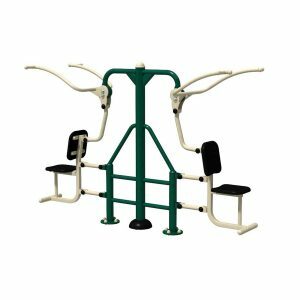 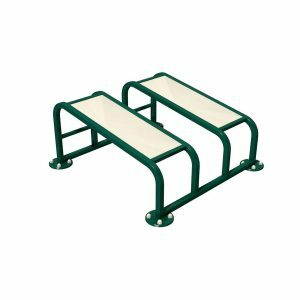 This classic piece of gym equipment can be used for a variety of exercises, especially push-ups and dips as well as hand walking along its length to build upper body strength. 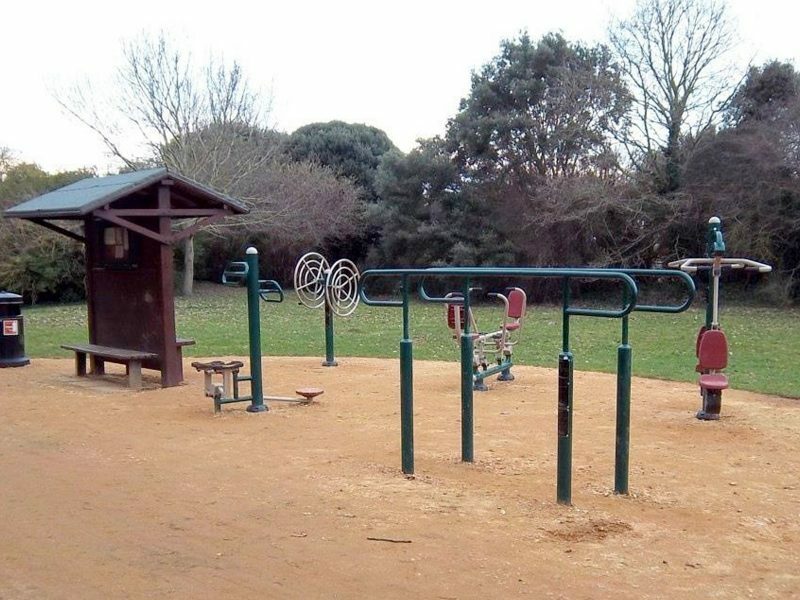 The truly athletic may want to try more strenuous or adventurous exercises. 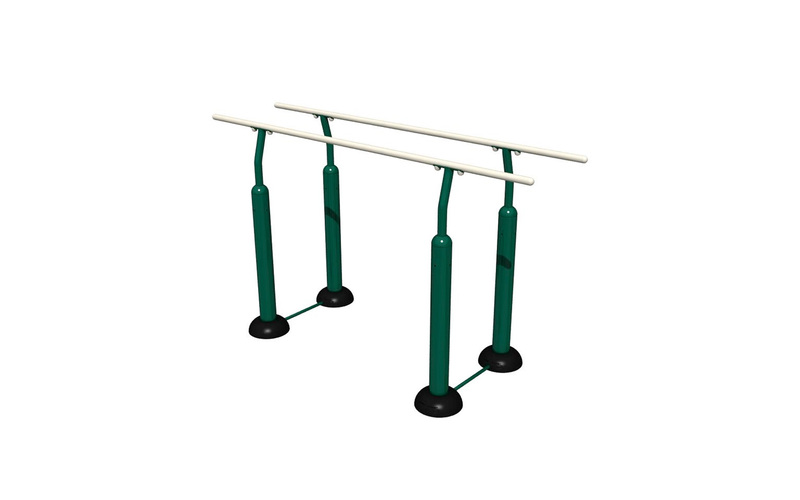 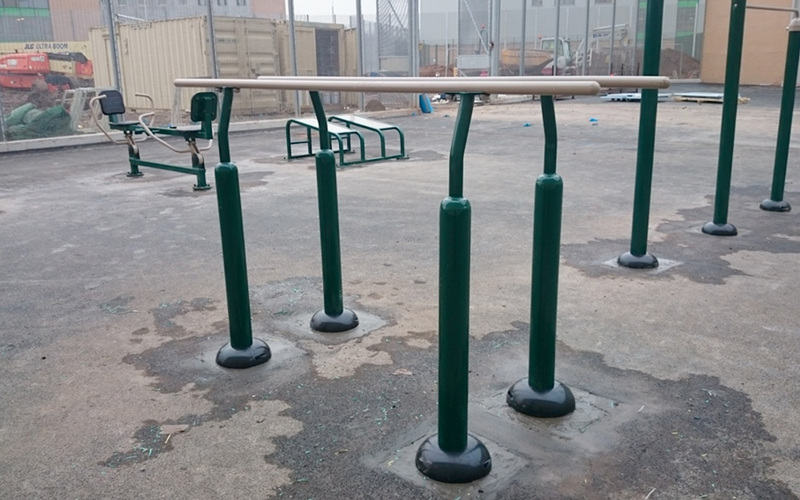 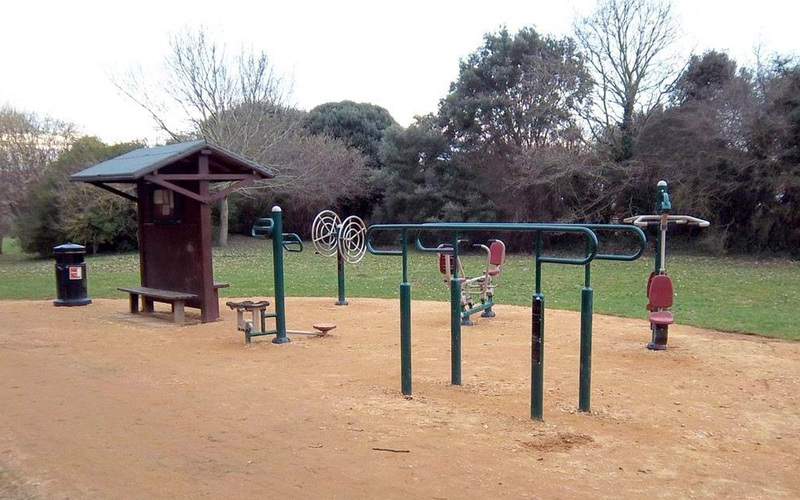 Bars can be set at any width to accommodate wheelchair users for pull-ups. 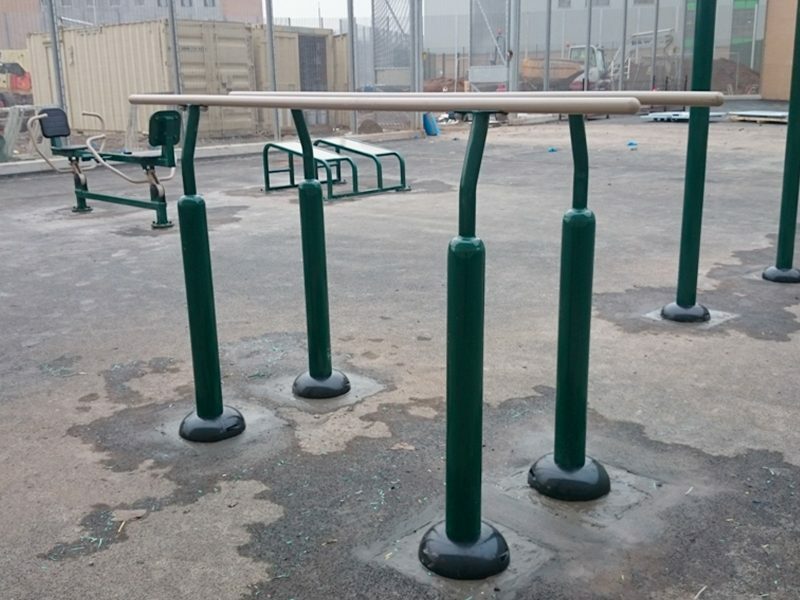 May need to be installed with a safer surfacing surround.